Walton County, Fla— Walton County Sheriff’s Office is currently seeking information regarding the whereabouts of a multi-county fugitive. James Dexter Jackson, 32, is currently wanted by authorities in two Florida counties including Bay and Walton. Walton County’s warrants include multiple grand theft charges and multiple burglary charges. 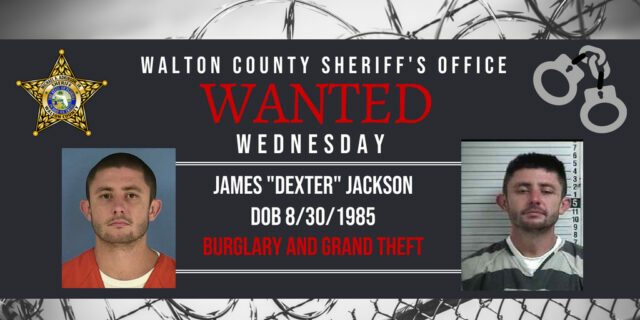 In addition, Jackson is wanted by Bay County Sheriff’s Office for failure to appear on original charges of grand theft auto, burglary, and criminal mischief. Jackson is possibly eluding authorities in the Fort Walton Beach, Okaloosa County area. If you have any information on the whereabouts of Jackson, you are asked to call the Walton County Sheriff’s Office at (850) 892-8186 or you can remain anonymous by calling Emerald Coast Crime Stoppers at (850) 863-TIPS. 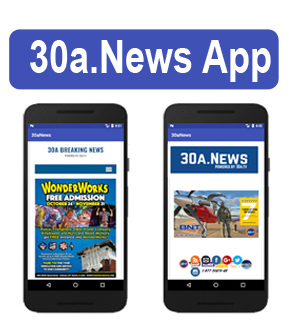 Submit a web tip at http://www.emeraldcoastcrimestoppers.com/ or send a mobile tip using the P3 Tips Mobile Application. You could be eligible for a cash reward. Be the first to comment on "MULTI-COUNTY FUGUTIVE SOUGHT BY WCSO"